Folks have asked me about my 6L6 Colpitts-oscillator transmitter that I use on 80 and 40 meter CW during the Antique Wireless Association on-the-air tests. 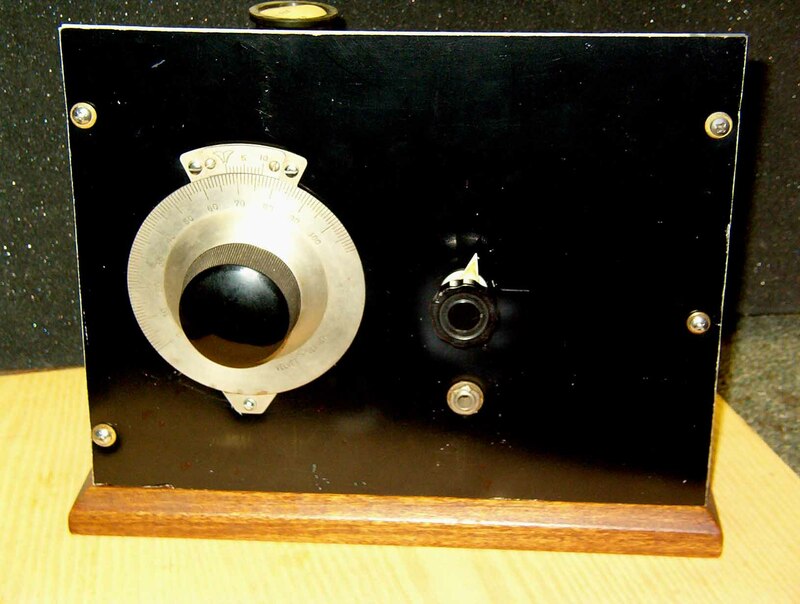 It's a replica of a 1938 transmitter. Here's a photo of the little rig. It was built on my kitchen table during a time when I was a cliff dweller in the mid-1980s. The transmitter uses a glass 6L6 (so you can enjoy the glow of the filament), and a VR-150 voltage regulator tube (its gas glows with a nice purple hue). The DC power is derived from a Type 80 full-wave rectifier tube. The rig is crystal-controlled, with band changes made through the use of plug-in coils. It develops about eight watts of RF. This rig, and its companion receiver, along with a vintage schematic and Mac key, were featured in QST Magazine, December 1997, pg. 20. Here's a view of the innards of the 6L6 rig. Some concessions to modernity were made in its design. For example, although it uses plug-in coils, the tank circuit is part of a pi-network. That permits easy matching to 50-ohm unbalanced transmission lines. For the same reason, a standard SO-239 coaxial output connector is used, as well as an old TV-style power transformer. Likewise, the rig includes an indicating fuse holder, and modern tubular high-voltage electrolytic filter capacitors. When signing off, I usually wave my hand over the 6L6, "wobbulating" the rig's frequency for a unique final note! 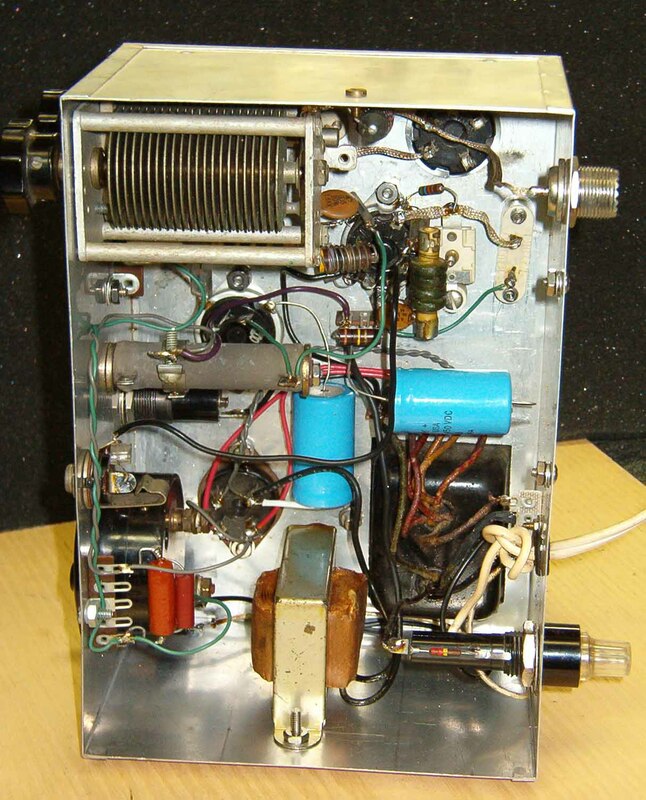 This is a view of the guts of a companion receiver to the 6L6 transmitter. It is a replica of a "schoolboy's" regenerative set that was popular in the late 1920s through the 1940s. Like the transmitter, band changes are effected by installing the appropriate plug-in coils. 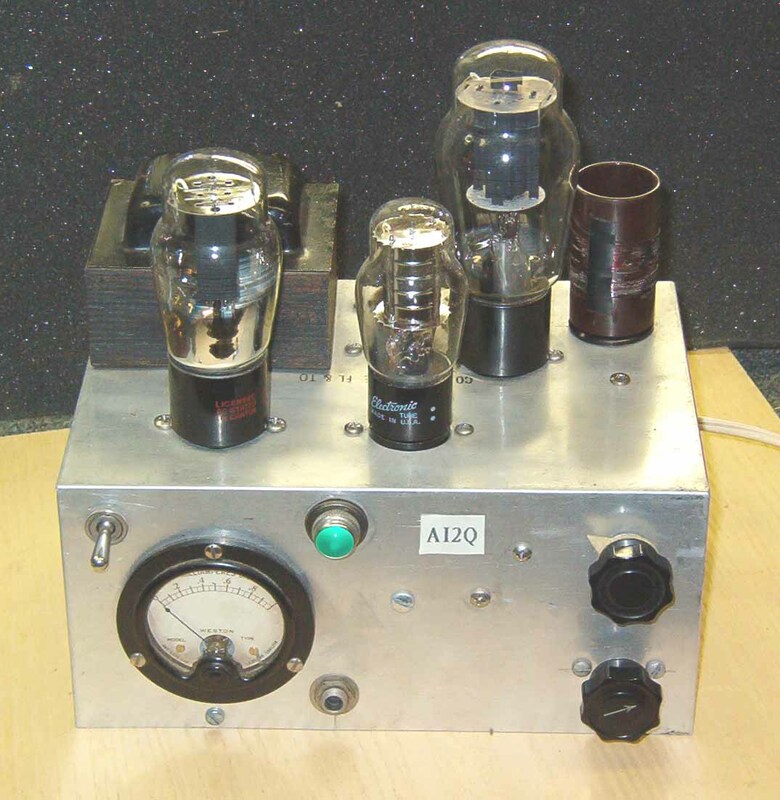 The regenerative tuner uses a Type 24 pentode tube. 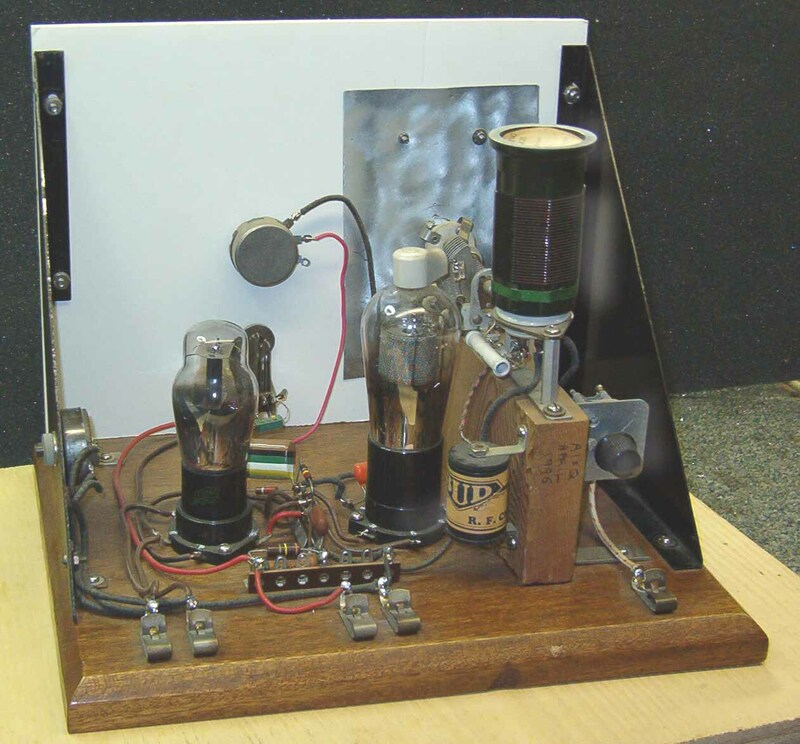 It's followed by a Type 27 triode audio amplifier. Here's a view of the receiver's front panel. Simple enough, eh? There's just a tuning knob and regneration control. Nonetheless, there is a bit of a technique that you need to learn to set the regeneration at the right point and get the receiver to play. Click here to return to AI2Q home page. 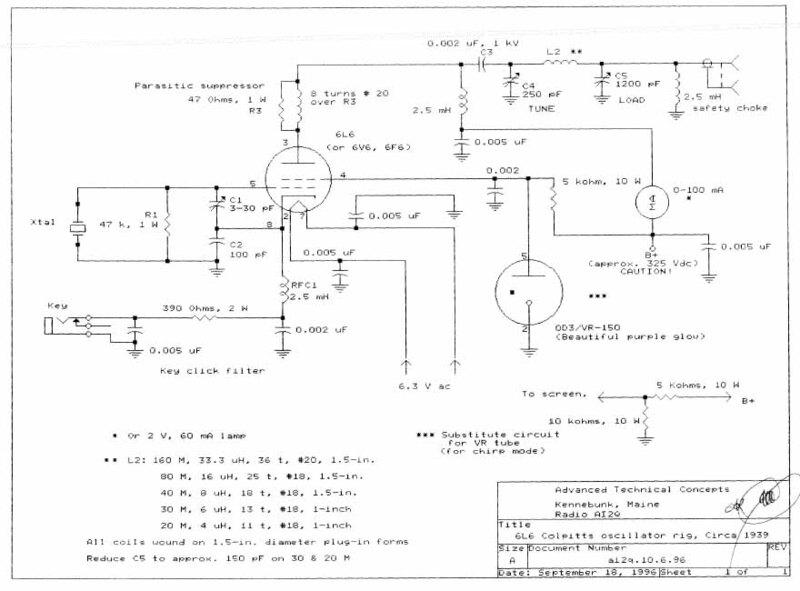 Click here to review the 6L6 transmitter's schematic. 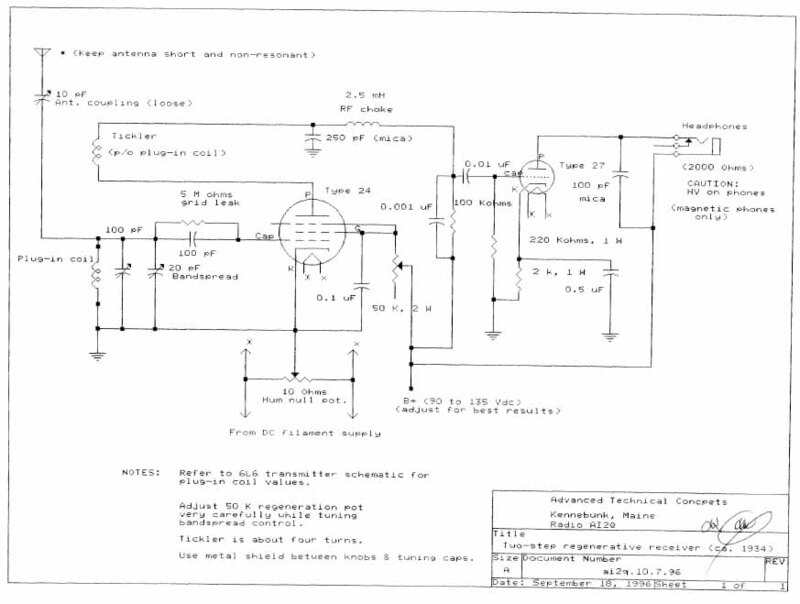 Click here to see the regenerative receiver's schematic diagram.